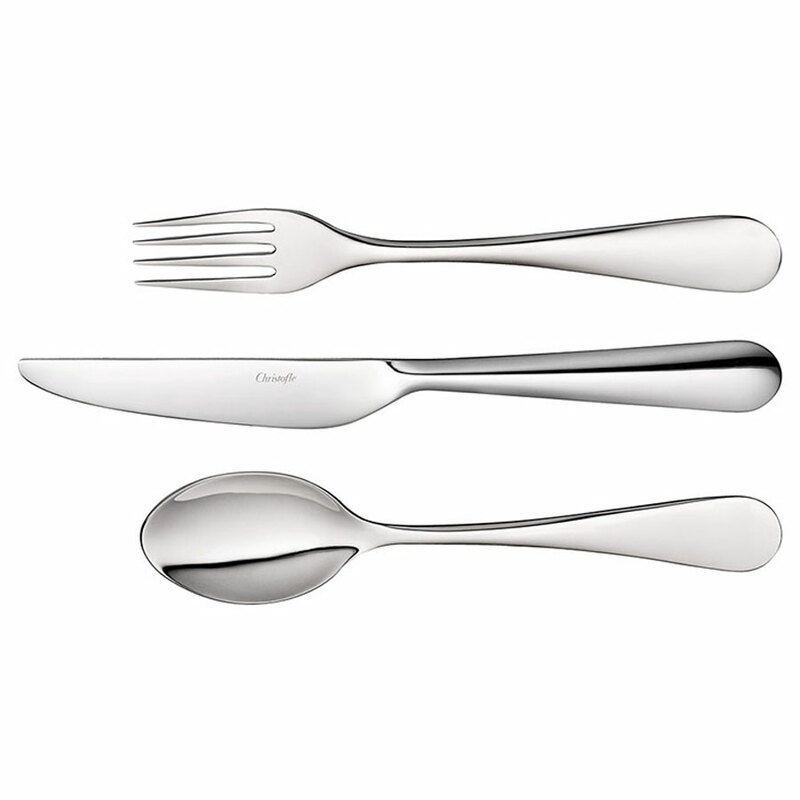 Introduced in 2012, this 18/10 stainless steel pattern is the epitome of Scandinavian simplicity characterized by monobloc knives, short tines on the forks and almost flat soup spoons. 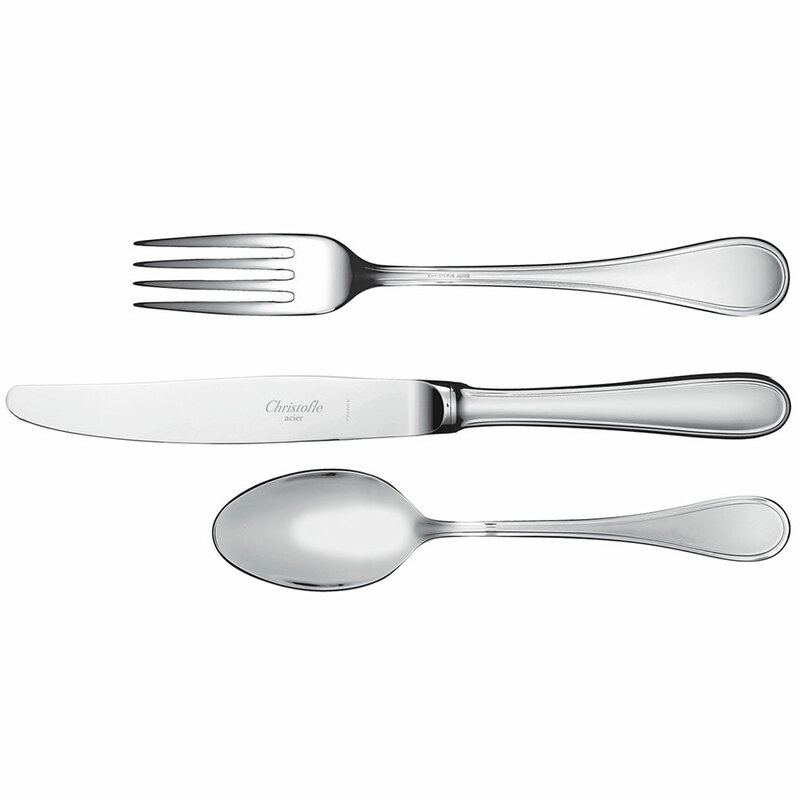 ORIGINE has become a favourite of restaurants with a casual atmosphere. 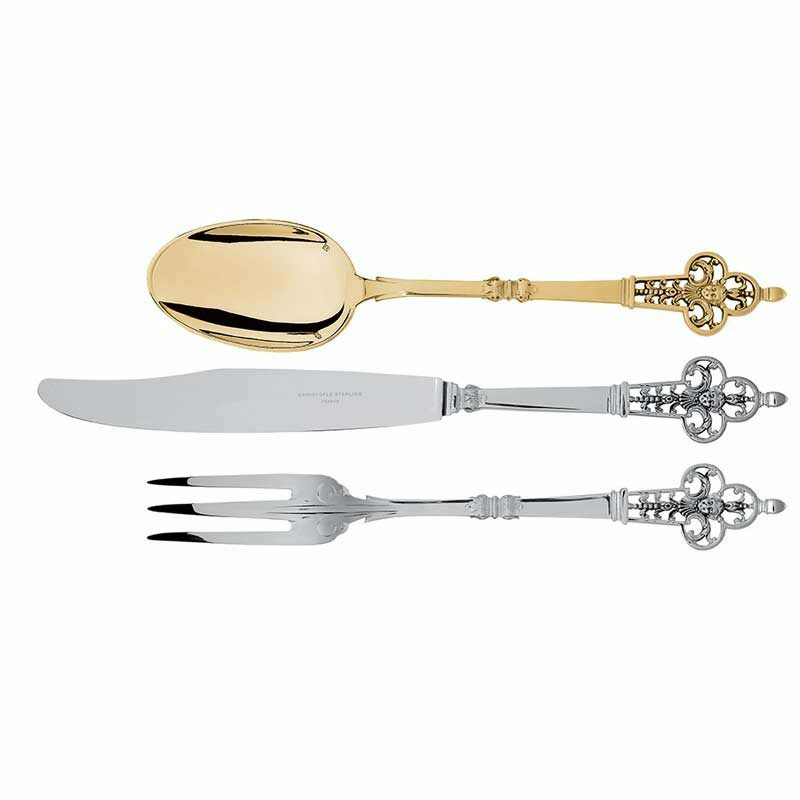 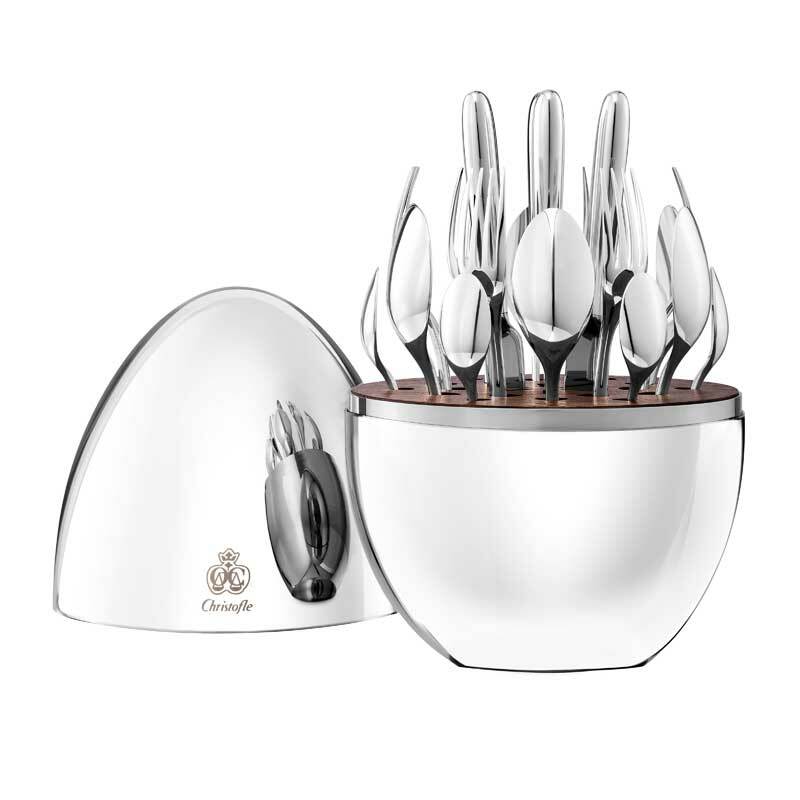 As in all other cutlery patterns, the above price refers to a Pacific Place Setting of 7 pieces (Place Setting is composed of an oval soup spoon, main fork, main knife, dessert spoon, tea spoon and a dessert/entree fork and knife). 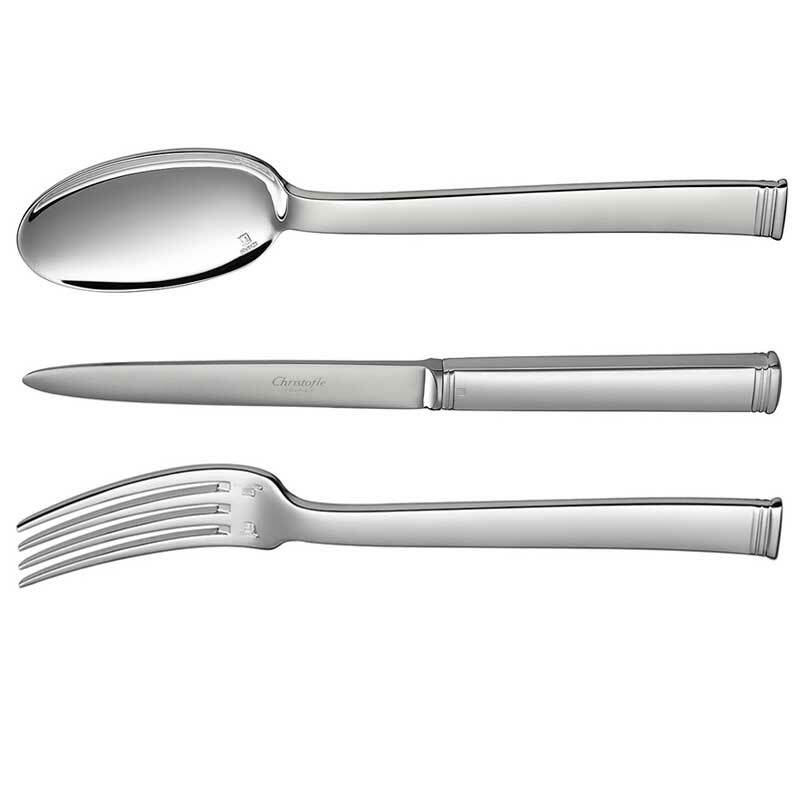 As most stainless steel patterns are designed for every day use and not for formal entertaining of any sort, some pieces available in other patterns are not part of the range.